WNBA’s Atlanta Dream Head Coach and Former Laker Michael Cooper returned to the Flathead Reservation in western Montana to meet and greet fans of all ages at the Sports Page bowling alley on October 18. He has been to Flathead Reservation several times over the years and has a particular soft spot in his heart for its people, whom he feels has impacted him so much since the very first basketball clinic he helped run there in the 1980’s. This time Cooper also brought several things to give away such as jerseys, WNBA basketballs and many autographed photographs to anyone who asked him for one. He had just come from another location where he held a one day basketball clinic, but wanted to stop by the reservation to motivate some of the kids who lived there. Cooper was born in the city of Los Angeles, California and ended up attending both Pasadena Community College and the University of New Mexico where he played basketball. He entered the 1978 NBA Draft and was selected in the 3rd round as the 60th overall pick by the Los Angeles Lakers. The 5-time NBA Champion stayed with the Lakers for 12 years before doing a season in Italy for the Virtus Roma before retiring as a player. From 1994 to present day Cooper has taken on a second career coaching WNBA teams and being an assistant coach to the Denver Broncos. 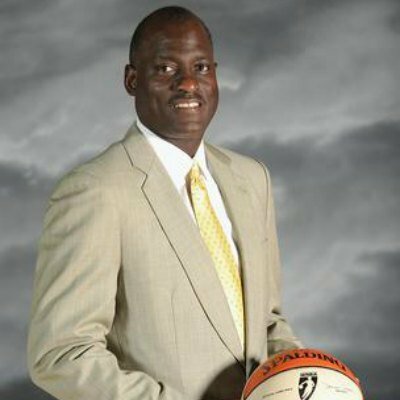 Currently he is the coach for the WNBA team the Atlanta Dream. Cooper visited the Flathead Reservation in Montana last month to meet and greet with several of his fans and reconnect with a community that he loves dearly. If your company is interested in finding out availability and booking fees for a retired basketball player and current coach like Michael Cooper or other sports celebrities for a Meet and Greet, Motivational Speech, Guest Appearance, or Basketball Camp, call us at 1-888-246-7141.